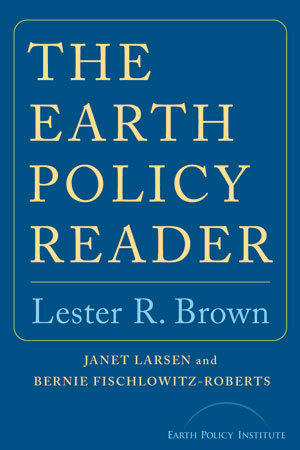 Award-winning environmental analyst Lester R. Brown and his colleagues chart progress in building the eco-economy, an economy that is compatible with the earth's ecosystem. 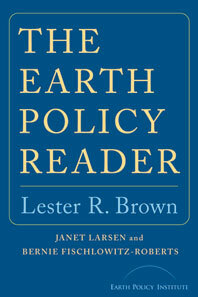 Brown explains, for example, why wind-generated electricity with its abundance and falling cost is emerging as the foundation of the new post-fossil fuel energy economy: now cheaper than electricity from coal, oil, or natural gas, it can be used to electrolyze water and produce hydrogen, the fuel of choice for the new fuel cell engines that every major automobile manufacturer is working on. And since an eco-economy relies heavily on recycling materials already in the system, such as steel and aluminum, we learn how, in this new economy, recycling industries will largely replace mining industries. Bringing together in one volume the essential Eco-Economy Updates that are distributed worldwide over the Internet and published in the world's leading newspapers, The Earth Policy Reader monitors the shift from the old economy to the new.